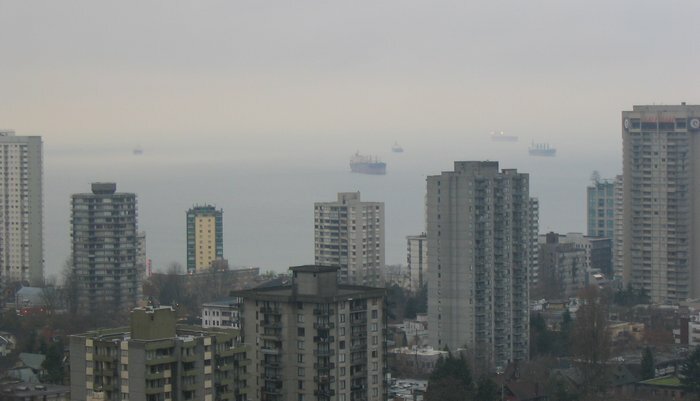 A foggy view of English Bay. Some compression artifacts evident. Nice,I stayed at the Pan Pacific there last Sept. 20th floor and a magnificent view on a clear day also. Pretty cool. The ships look like they are floating in the air.